TravelSkite: "... their spear points gleaming..."
Only five more sleeps before I head off to the Dark Continent, so naturally I have 'Men of Harlech' on repeat in my head. Why this particular earworm? Because I'm going to Zululand, of course. What, still no wiser? Tch. Clearly you're not British, then, accustomed to the Christmas tradition of showing the 1964 movie Zulu on television - the one with a very young Michael Caine and a climactic scene where the besieged British regiment sings a version of the song to drown out the chants of the approaching Zulu warriors before the final stage of the Battle of Rorke's Drift. Never seen it? It's a classic! And the battle is worth knowing about, too - eleven Victoria Crosses were awarded to the defenders. 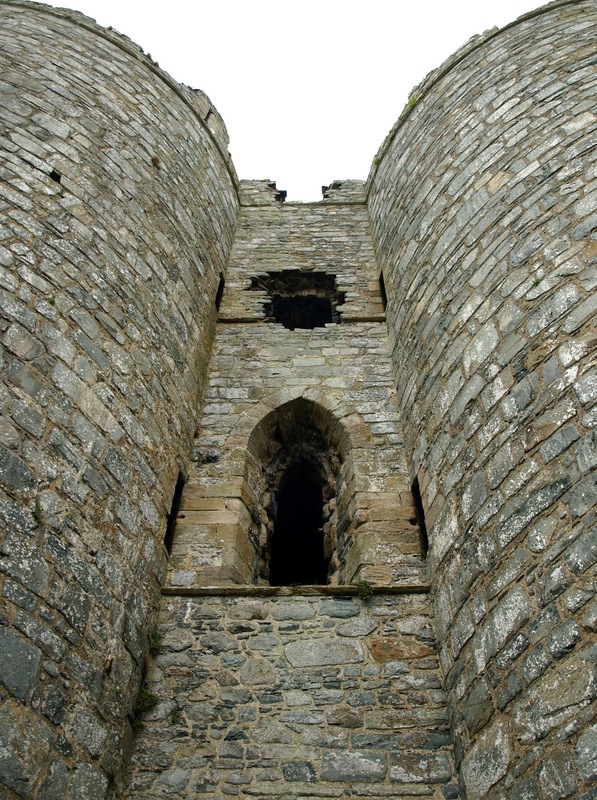 I went to Harlech a few years ago, and had a nose through its classic storybook castle, sturdy and four-square up on the hill above the town, with towers and turrets and battlements, multiple portcullises and a drawbridge. There was a siege here too - in fact five of them - but the best-known was back in the 15th century during the Wars of the Roses, that lasted all of seven years, and was the inspiration for the song. The one the Welsh remember most fondly though is when Owain Glyndywr held off the British from the castle they'd built, for five long years. Now it's a quiet place, and when I was there the loudest noise was the cawing of the resident crows and the tapping of the lanyards on the flagpoles, though some distant shouting from the playing fields of the high school below gave some idea of how it must have been during its various battles. Though we saw rather too many Welsh castles on that trip, I liked Harlech and have no trouble distinguishing it from all the others. Not everyone was impressed though: there was a fat Brummy couple wandering around at the same time, and he said to her, in that whiny accent, "I'm a bit disappointed in this, Wilma. I thought it was going to be a proper castle, but it's just a ruin." It's much more than a ruin. It's also a bit suggestive.